The song goes on to tell the story of a man who's in love with two women, both carrying his child. What happened to him? How did his life sort itself out? We can only guess. Thankfully, we don't have to ask those questions with Foster's latest project. For You to See the Stars is a CD and a book. Or is it a book and a CD? However you look at it, it is a collection of songs, and a book of short stories that are connected to those songs. It's a brilliant marriage for an artist who is a great storyteller, in both lyrics and prose. Stay Thirsty Magazine sat down with Foster to talk about this latest project. MARK YOST: How long has this project been kicking around inside your head? What were the factors in your life/career/development as an artist that said to you, “It’s time to do this”? RADNEY FOSTER: About two years ago, I got a severe case pneumonia and laryngitis. I had to cancel shows, and was on voice rest for three months. As a singer, that’s pretty scary. I started writing poems, and then decided to write a short story based on one of my new songs. MARK YOST: A lot of your work feels very autobiographical. There’s a lot of Del Rio/West Texas sprinkled throughout your body of work. The two songs/stories that bookend this project, “For You to See the Stars” and “Sycamore Creek” feel especially that way. How true to your life are they? 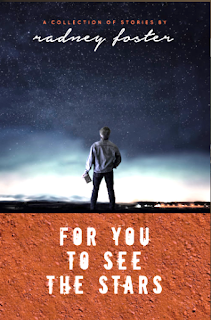 RADNEY FOSTER: They say your first book of fiction is always non-fiction, and I certainly write what I know! West Texas has always had a vivid influence on me. I’m working on a novel now, and part of it takes place in West Texas. MARK YOST: Same question for “Greatest Show on Earth.” Were the porch pickin’ sessions in that song part of growing up in Del Rio? If not, what inspired that song? RADNEY FOSTER: My dad was a lawyer, but he also played guitar and sang. My folks often had friends over on Saturday night, and it would usually end of with everyone signing and playing on the back porch. That really was my musical education. When I learned to play guitar, that was my first stage. The short story “Bridge Club” describes one of those guitar pulls, and it’s probably the most autobiographical story in the book. MARK YOST: Outside of your family, who were the people who encouraged you to sing, to write, to create when you were growing up in Del Rio? MARK YOST: Is there a real Belmont & 6th? If not, tell us where you were when you were inspired to write that song. 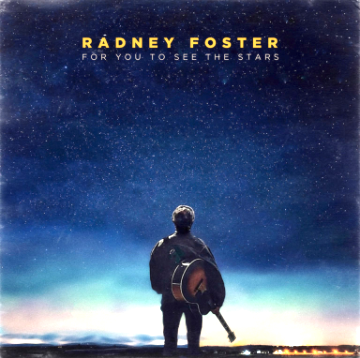 RADNEY FOSTER: There isn’t. There is a Belmont &16th, but that didn’t sound right. Also, I thought it was better to be a fictional place, rather than an actual street corner. Nashville has a street paper called the Contributor that gives homeless people a job, writing and selling papers. There was one vendor who I would see every day after dropping my kids from school. I could tell he was a vet, from his demeanor and his tattoos. I bought the paper from him each week for six months. Then one day he was gone. And the next day, too. In this case, the story had a happy ending (After a few days, the church across the street put a handmade sign on the corner “Mark found a job!”) But it could have easily gone the other way. MARK YOST: How did the Radney Foster/Darius Rucker Mutual Admiration Society come to be? RADNEY FOSTER: About twenty-five years ago, I got a call from my sister at midnight. “Turn on VH-1!” was all she said. I did, and saw a new band called Hootie and the Blowfish. The lead singer was wearing a Radney Foster t-shirt. I reached out to them when they came to Nashville a few months later, and it turns out Darius had been a huge fan since the Foster and Lloyd days. We met after the show and have been great friends ever since. MARK YOST: Eddie Heinzelman is one of your regular touring partners/collaborators. Who is he? Where did you meet him? What works so well about your partnership? RADNEY FOSTER: Eddie is an amazing guitar player, a dang fine singer songwriter and a prince of a man. He is a great harmony singer, and makes me better on stage! MARK YOST: You had a limited engagement in Atlanta as the lead in “Troubadour.” Talk about that project, how it came to be, and why it was important to you. RADNEY FOSTER: I hired an acting coach last year, did a small part in a film and participated in a local production/reading of the Harry Potter play (“Harry Potter and the Cursed Child”). A friend suggested that I try out for a part in an upcoming production in Atlanta. Come to find out it was a new musical written by Janece Shaffer and Kristian Bush of Sugarland. I tried out and got the part. The show made it’s world premiere at the Tony award winning Alliance Theatre in Atlanta. It was my professional stage debut, and an incredible experience. 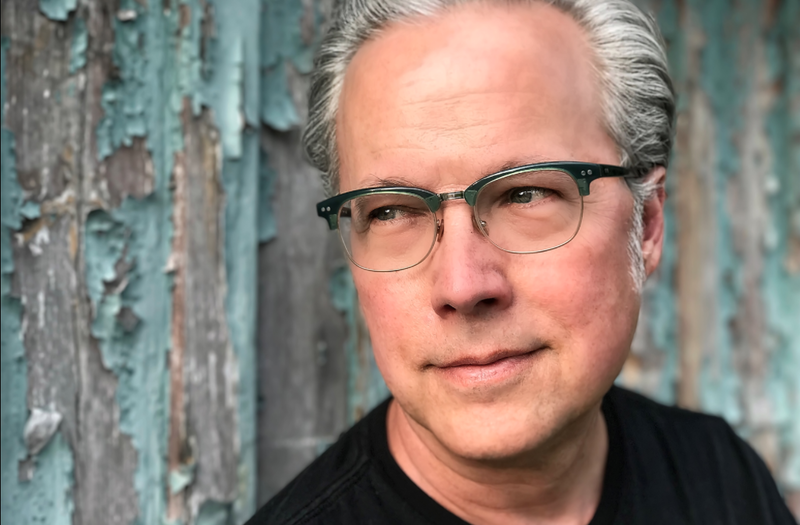 MARK YOST: What’s next for Radney Foster? RADNEY FOSTER: I’m touring behind this record, and doing a book tour. In between, I’m writing for my next record, working on my first novel and developing a screenplay.